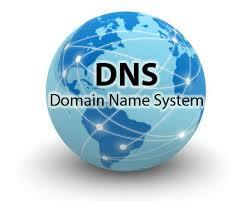 A domain name is one that identifies a website in its simplest form. 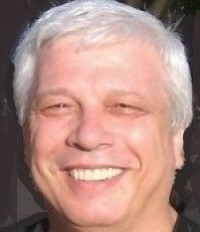 For example, this site you are on is called successfulaffiliateru.com this is my domain name. If you look at your search bar at the top you will see the domain name there. Now you may notice this domain name doesn’t have the www in front of it. For one, this is not part of a domain name and is not really necessary to have. Some will have this displayed as part of their address while others like mine will not. 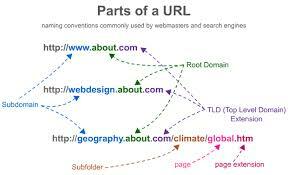 If set up correctly, the search engines used will find the domain with or without the www. So if you need to get onto the website at any other time all you need to do is type the domain name in the address bar without the www on your search engines you are currently using and it will take you directly to my website. Although the Domain name will find the website it is only a portion of the complete internet address which is called a URL (Uniform Resource Locator”). Here the URL has the full address of the website you would be visiting this would also include the colons and forward slashes you may see. Here you will see the domain name which is included along with the colons and forward slashes. You will also notice the letter HTTP this stands for “hypertext transfer protocol” by having this in front of the URL is letting the browser you are using to let it know that the domain name is being used instead of an IP Address. This URL contains more detailed information such as the gives only a partial address to your location on the website. Behind this is really what is called an IP Address (Internet Protocol) which is usually listed with a certain group of Numbers is only part of the address you see. The IP Address is also another form of connecting to your website. These numbers are unique and serve a greater purpose between networks connected to the internet. As you can see it is easier to remember a name rather than a series of numbers. Hence the popularity of using a domain name. Domain Name/ URL/ IP Address/which do I use? Generally, you would use the domain name when searching for a web address. Although the URL man either have the domain name within it as shown earlier if it used the HTTP alternately it could have the IP Address instead which would be the series of numbers. The main difference between the URL and the IP Address is where they are directed to. In general, the IP Address points to the computer, server and the network that is on the internet. As we have seen that you can have an IP Address as part of a URL however due to the list of numbers to remember it is considered to normally use a domain name instead of the IP Address. 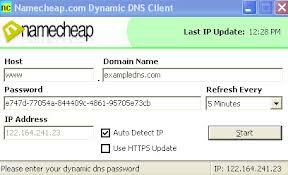 As using the domain name is considered the normal way instead of the IP Address it is required to process this request through what is called a Domain Name Server or (DNS) for short. By doing so, this converts the domain name into an IP Address thus allowing the computer to find the host of where the website is held. Get your own TLD with Namecheap here. 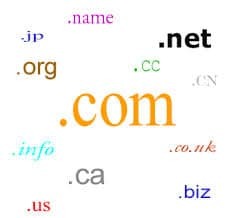 The most popular in the order given is “.com,” “.net,” and “.org” there are much more but these are usually the most popular and recommend TLD to be using. This normally defines what type of site they are for example the .com usually refers to commercial websites for the .org is normally used by organizations. However, as individuals along with organization are able to also register for the non-commercial site the .com is the one used most and it is also the most recognized. Now there is also a second level domain or 2LD these are used after the main TLD, for example, Google.com.au would refer to the websites that would originate in Australia as the .au relates to the country Australia, or if it were Google.com.jp this would relate to Google in Japan. As you understand the basic meaning of the above terminologies this will also make it easier to understand once you are in Wealthy Affiliate and dealing with creating a domain name. By knowing what the above terminologies mean will help further when dealing with them within Wealthy Affiliate should you wish to join? Remember you can also start the free membership and receive two free websites to get you going. Should you already have a domain name the lessons within the course will cover not only the domain name but also how to transfer any domain sites you may already have from other hosting services into Wealthy Affiliate this would be for premium members. The Web hosting services provided by Wealthy Affiliate is included in the membership both for starters and Premium members. For those who need to create a domain name, this is where knowing your Niche comes in (as per The Niche Definition). This is why selecting the niche is the first point of call before creating a website which would also relate to the domain name and niche selected for the same reason and example just given. The training lessons within the first course will explain how to create your website but first, you will need to create a domain name. So should you wish to prefer to start off with the option of having two free websites in the beginning not a problem what I can help you with is you can see straight away if a domain name is available for your siterubix.com and when you join for free this will be yours to work on? Just click this link below and a window will open where you can immediately type in a domain name to your niche and if available you can grab it as your own once you join. To find an available domain name just click below and type your domain name now.